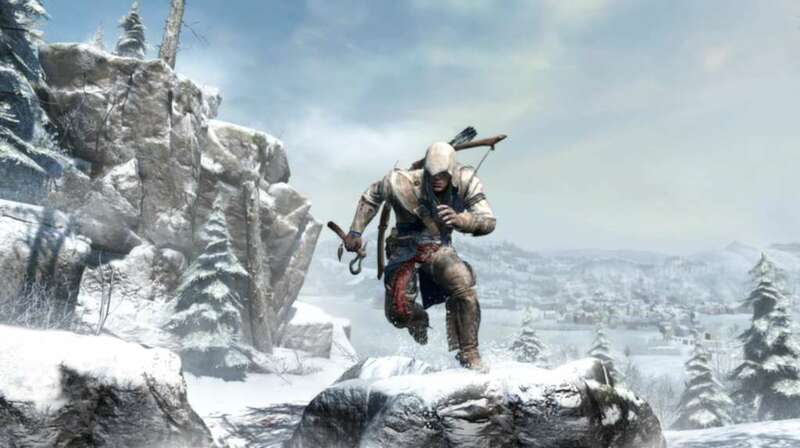 A NEW MASTER ASSASSIN As Connor, a Native American Assassin, use your predatory instincts to stalk your enemies and eviscerate them with a new arsenal of weapons including tomahawks, rope darts, firearms, and more. 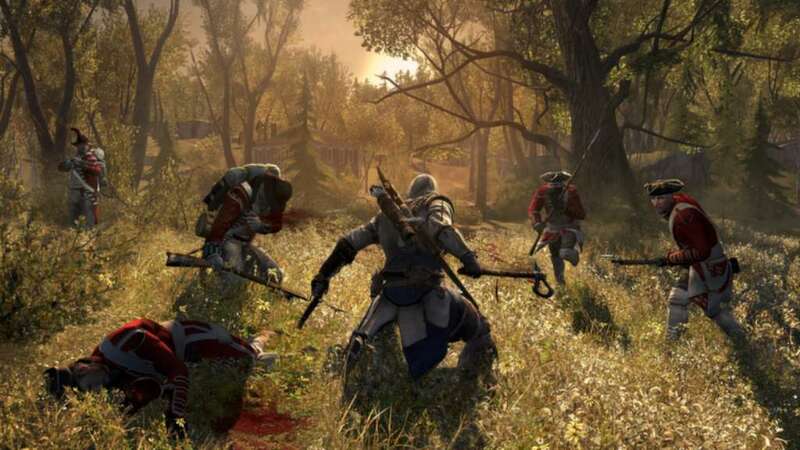 IGNITE THE FIRES OF REVOLUTION From Lexington to Bunker Hill, become America’s first highly trained Master Assassin. 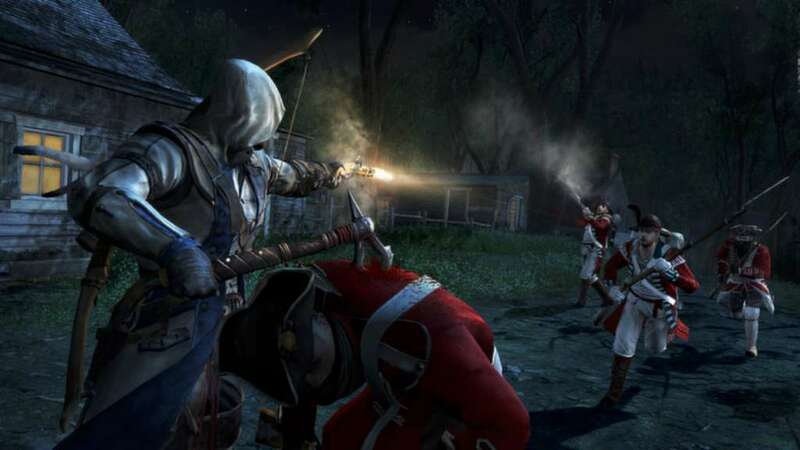 Bear witness to the real conspiracy behind the American Revolution between the Assassin’s Order and the Templar menace alongside historical icons including George Washington, Benjamin Franklin, and many more. 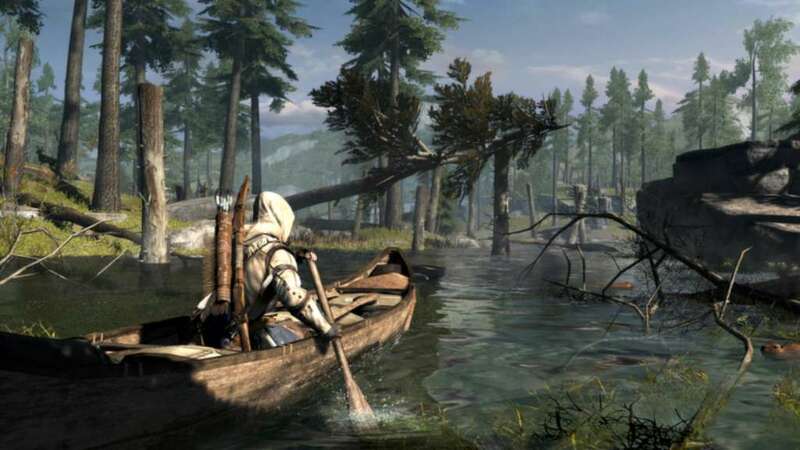 EXPLORE A BRAVE NEW WORLD Pursue your enemies through massive environments – from bustling city streets to blood-soaked battlefields and into the far reaches of the American frontier. 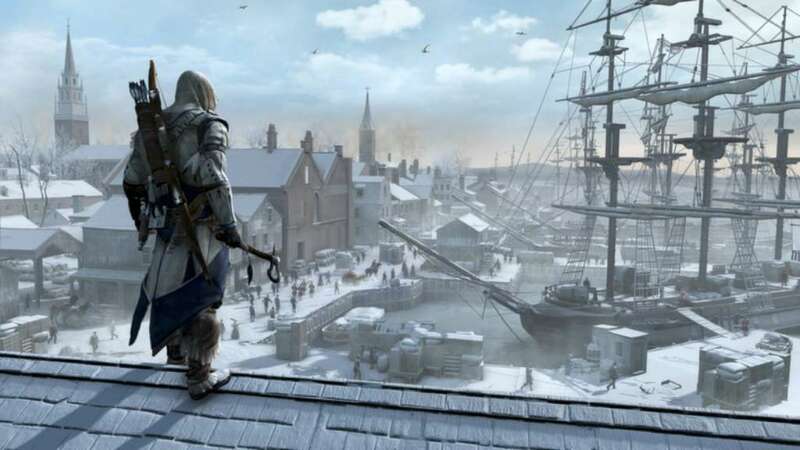 STUNNING NEW ENGINE Introducing Anvil Next, our new engine designed for Assassin’s Creed III. Revolutionary physics, animations, and weather systems deliver unprecedented realism, while a new combat system delivers more intense, gut-wrenching battles than ever before.